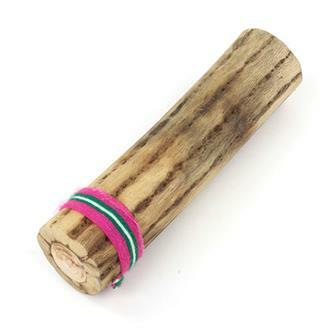 A small selection of musical instruments to help create a wealth of sound effects. This section features the ever popular honky horns, mixed animal noises, clever thunder shakers and a myriad of other strange sounds and noises. 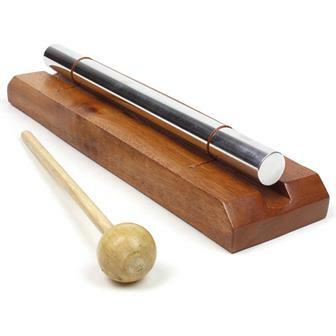 This budget version of our hugely popular thunder shaker range is played by holding the tube section and allowing the metal spring to dangle freely, the instrument is then gently shaken from side to side. 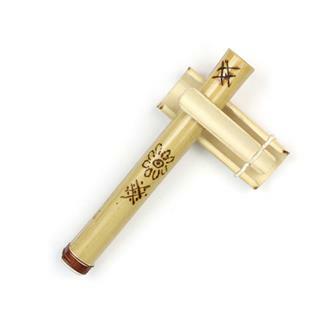 This creates a fantastically realistic thunder sound which must be heard to be believed! Electrify your ears with one of our most popular sound making devices. 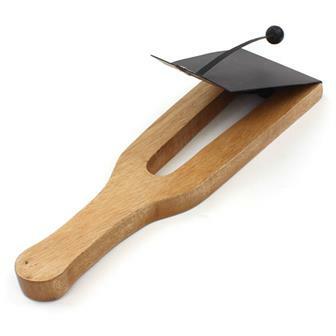 The thunder shaker can create a fantastically realistic thunder sound which must be heard to be believed! 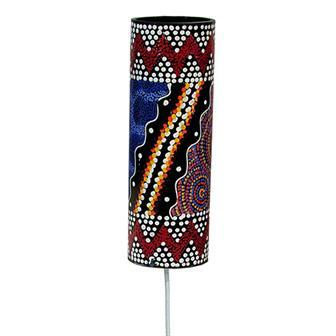 This Fair Trade instrument is hand made in Bali and is decorated with hand painted storm scenes and colourful dot painting. Electrify your ears with one of our most popular sound making devices. 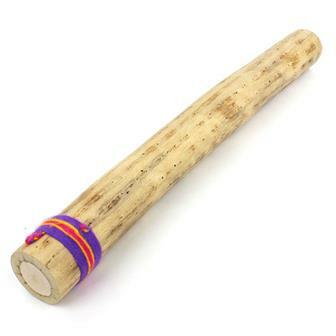 This larger, louder thunder shaker can create a fantastically realistic thunder sound which must be heard to be believed! 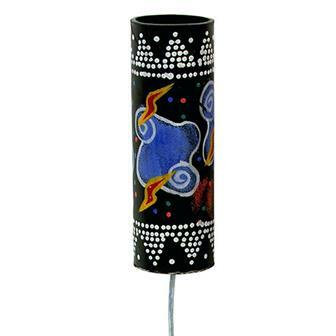 This Fair Trade instrument is hand made in Bali and is decorated with hand painted storm scenes and colourful dot painting. 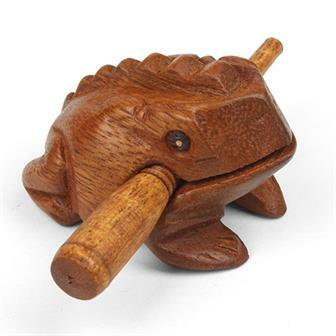 This oddity was affectionately named for its ability to create an unexpectedly strange, wobbling sound. Properly known as a flexatone, the two knockers beat against the metal sheet to create a sound which you can bend the pitch of by bending the metal. 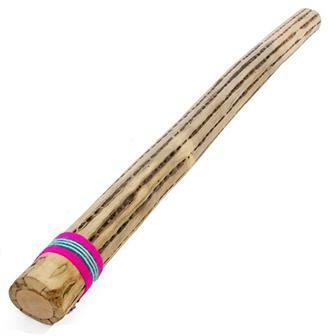 Made from a single length of decorated bamboo, this amusing device produces a fantastic "boing" sound when tapped against a hand or surface. 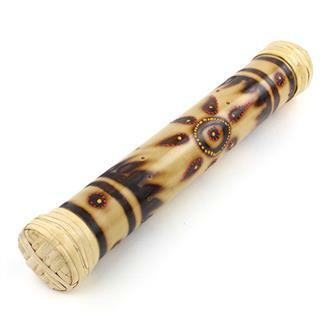 Great rainstick made from a length of hollow bamboo decorated with burnt patterning and a traditional dot painted design. When upturned the instrument recreates the sound of falling rain. 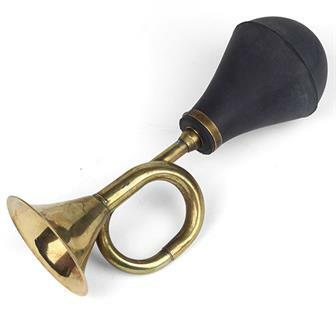 Fantastically antiquated looking metal honky horn with tactile rubber squishy bit. Not only does it look the part, the sound is marvellous too. Great for use on your vintage bicycle, as a classic sound effect or for simply clowning around. 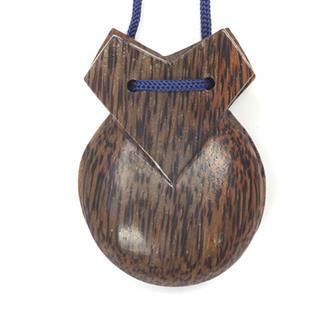 Lovely pair of coconut wood castanets connected by nylon cord. 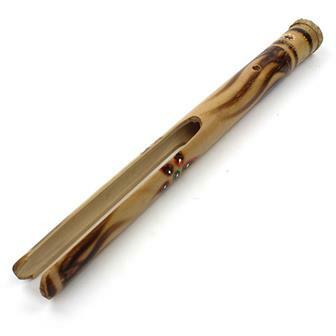 Coconut wood makes a great alternative to using diminishing hardwood and produces a brighter, crisp sound. 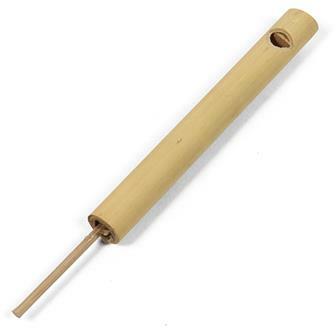 This is a clever little instrument made from fired clay in Thailand. 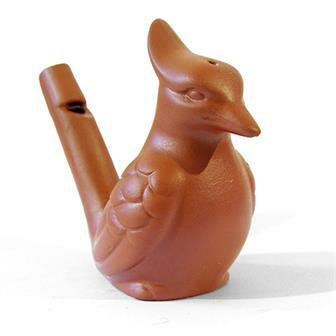 By pouring a little water in a hole in the ocarina it makes a sound like a bird twittering. 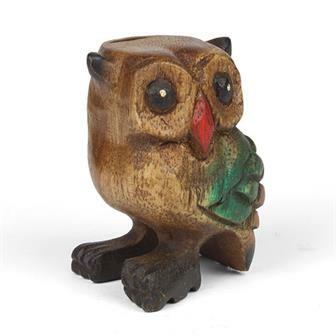 Beautifully hand carved hooting owl from northern Thailand. 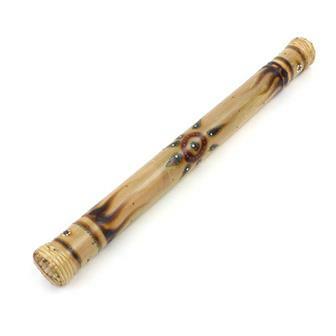 Made from acacia wood, its small size makes it perfect for hooting on the go. It make look like just a woodcarving but this little owl has a special air chamber in it, so when you blow gently in the hole in the top of its head makes a great hooting noise. 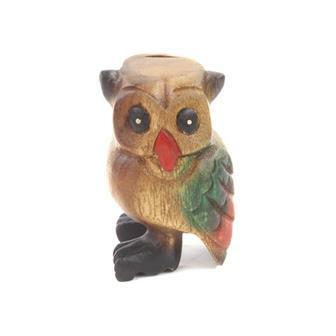 This medium sized hooting owl gives you a load more hoot for your money. 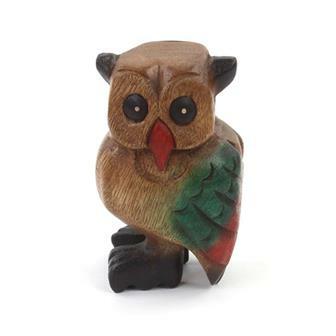 Each owl is hand carved from acacia wood and then nicely painted in northern Thailand making each one both a pretty ornament and a noisy instrument.